A new forest adventure park, conveniently located for holiday makers, open Easter to late October (depending on weather). 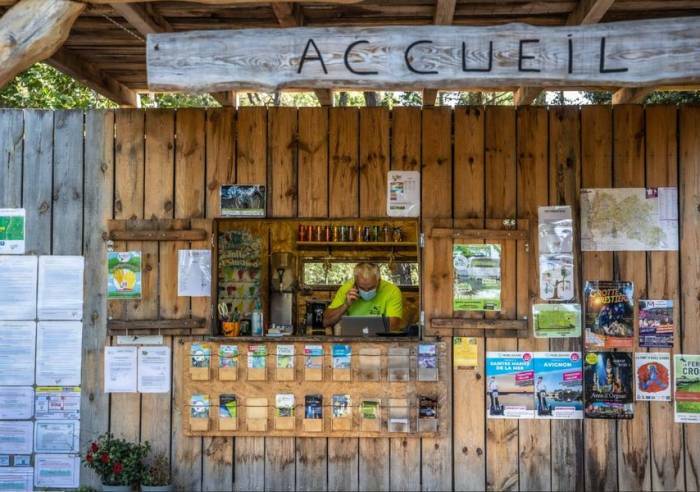 This new, leafy park, which boasts Provence’s longest zip wire (220 m), is guaranteed to thrill. 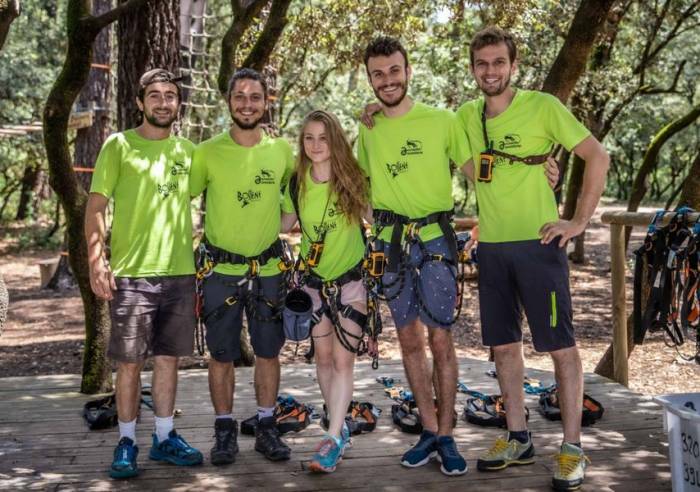 Adult course: must be 1.4 m or over; intermediate course: age 6 and above; junior course: age 3 and above. 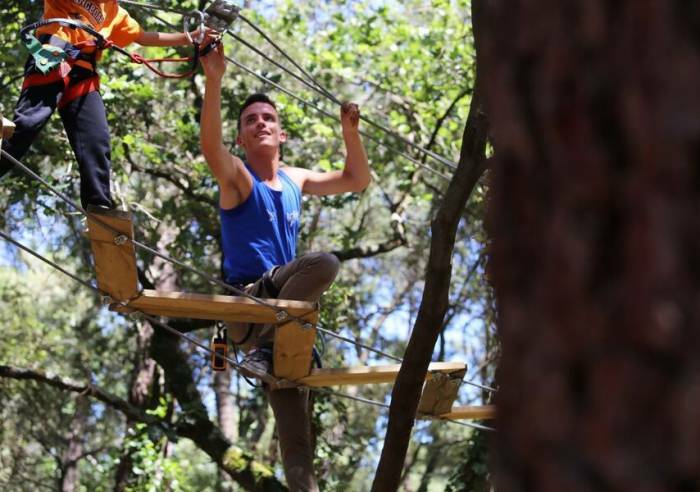 Allow a half-day so you take full advantage of the aerial treetop trails, in complete safety. All equipment provided. 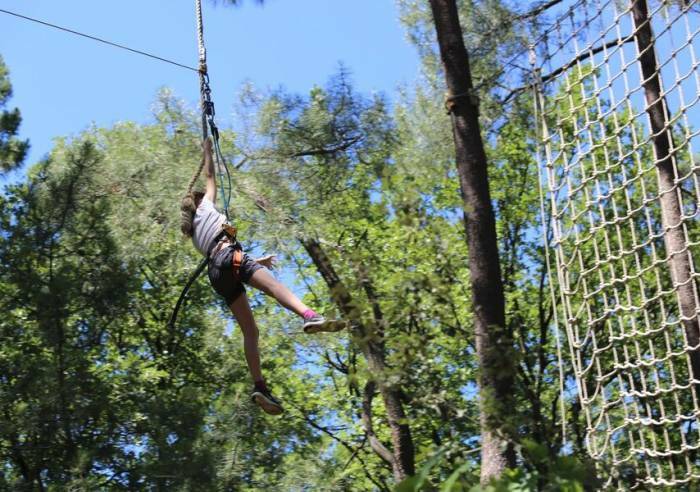 5 ha of forest, with trees ranging from 3 m to 15 m. The giant zip wire can even be enjoyed by children, if accompanied by an adult. For smaller visitors, there is a low rope course (under 1 m) so adults can assist.